Spring is coming!! 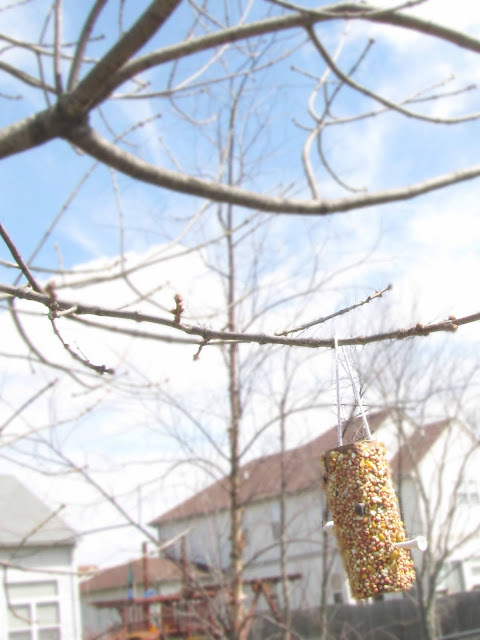 The birds are out and about, green is springing forth, and it has gotten a wee-bit warmer outside! Though, it's still pretty chilly around here if you ask me! 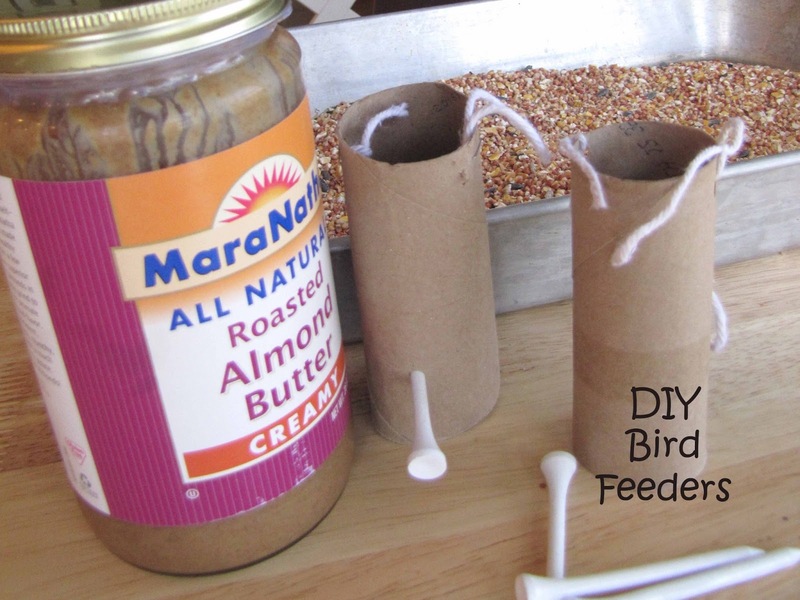 To make friends with the birdies in our backyard the kiddos and I made some easy diy bird feeders. To prep the toilet paper roll, I punched two holes on opposites sides near the top. I put a generous layer of peanut butter on each roll. The kiddos rolled the toilet paper rolls in the bird seed; well, T rolled it and A used a spoon. To give our bird friends another place to stand, I pushed two golf tees into the sides on the rolls. Voila! Easy DIY bird feeders! Welcome to our yard, little feathered friends! !